Child support lawyers are essential for custodial parents that will need child support to help pay for the costs associated with raising a child, including living, schooling and enrichment activity expenses. These laws can also inform state authorities and pursue damages claims for nonpayment of child support. Every state has unique laws and enforcement mechanisms to determine child support payments and enforce these agreements. Lastly, the lawyer will be able to ask for a reassessment of child support payments if there is a significant change in the financial status of the custodial or non-custodial parent. Consult with a Maryland child support lawyer to maximize child support payments when dealing with divorce or other issues involving a non-custodial parent. What should I bring when meeting with a Maryland child support lawyer? When suing for nonpayment of child support, bring the settlement agreement that obligates the spouse to pay support. Ensure that you can prove that you have complied with the provisions of the divorce settlement as well. When attempting to secure child support payments in an initial settlement or court decision, bring a tally of the costs associated with raising the children. This includes school supplies, tuition, activities and any other reasonable costs a parent would accrue when raising a child. There is no guarantee that you will not receive that exact amount but this provides the Maryland child support lawyer with a benchmark for an appropriate level of support. When disputing a child support claim or provision, be clear about the objectionable elements of the agreement. For instance, if child support payments are still withheld from your paychecks after the child has turned eighteen, the child support lawyer can rectify this and ensure the withheld salary is returned to you. The formula is not an absolute determination and an experience Maryland child support lawyer will work on you behalf to achieve a more favorable balance of payments. For instance, this guideline would have a non-custodial parent of two children, with no existing support payments to other spouses and children paying $688 a month. This would be with $500 monthly contributions to daycare and insurance and a salary of $50,000 when compared to a custodial spouse making the same contributions and a $60,000 salary. The court has the final say in the amount of these payments, but will have the guideline determinations in consideration. Distinctions will vary from state to state, especially in the determination of “gross income.” Many states will count gifts, loans and entitlement payments in their determinations, while others will exempt these payments. These laws are subject to change, so a Maryland child support lawyer will keep you abreast of further developments. How do I find a legitimate Maryland child support lawyer? The best place to look for a Maryland child support lawyer is with Maryland state and local bar associations. The largest of these associations is the voluntary Maryland State Bar Association, which maintains a voluntary member directory. These associations will usually offer sectional membership in family law and publish the contact information of those members. Bar associations will offer services to members to improve their practices and professional habits, which will in turn benefit the client. Based on the professional and ethical standards of the association, you will be able to make an informed decision to use that directory. Lawyer referral services are sometimes available, but generally, any lawyer that pays for the service will be listed. Still, if the service offers free or low cost consultations, then an individual looking for a Maryland child support lawyer could be best served by this service. What will I pay for the services of a Maryland child support lawyer? The type and nature of legal fees for Maryland child support lawyers will vary from case to case. Most Maryland child support lawyers or lawyer services will posts fee as a range, rather than a set figure, to reflect the variable outcome and length of court cases. Factors affecting your case may include a spouse disputing your support claims or right to custody. 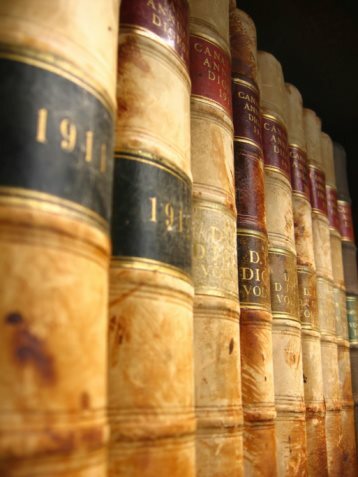 Disputed cases are long and as such, will be more expensive. Take advantage of free consultations when they are available to discuss potential fees and payment arrangements with Maryland lawyers. The above fees do not consider court costs, which are also paid by the client. You may be able to arrange low cost and extended payment for legal services at the discretion of the attorney or law firm. Free child support lawyers may be available to parents that cannot afford a regular lawyer to deal with custody or an adjustment of child support payments. For all other cases, spouses seeking child support or contesting a child support petition will find the use of free child support lawyers useful. They must be able to prove to the service that they cannot afford a lawyer under normal circumstances and that the burned placed by too much or too little child support requires them to seek the help of free child support lawyers. What are questions to ask Maryland child support lawyers? How does my case relate to Maryland state and local laws? Are you an active member, in good standing, of the Maryland Bar Association? How is gross income calculated in Maryland for the purposes of child support? Do you see any potential flaws in my child support claim?